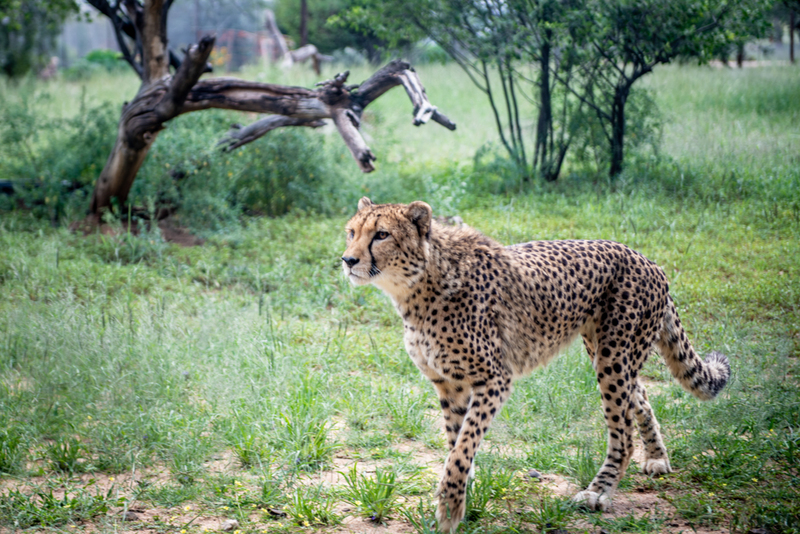 Namibia is home to a third of the world’s cheetah population, and the Namibian Cheetah Conservation Fund (CCF) is committed to protecting this vulnerable species. Namibia’s cheetah population has already halved and CCF estimates that there are only 7000 cheetahs left in the wild. To protect the cheetahs, CCF works with local communities to improve biodiversity and open dialogues with local farmers. A problem for the Namibian cheetah is bush encroachment, a phenomenon referring to the undesirable thickening of bushes and trees. Cheetahs once thrived in the mixed woodland savannah of central Namibia, but human disturbance, overgrazing, fire suppression and removal of browsers like elephants and rhinos tilted the balance of grassland and trees. Thorn bushes choked the landscape, making it impossible for cheetahs to run or hunt. CCF came up with a process that could use the bush while restoring the ecosystem. They started using the thorn bushes to produce fuel bricks – called Bushblok - that can be sold to support the work. The clearing of land is not just about creating space for cheetahs; Bushblok also means job creation in a region where unemployment is high. Bushblok employs 30 people, and as the industry grows, so will jobs. CCF was FSC-certified to make Bushblok in 2006.